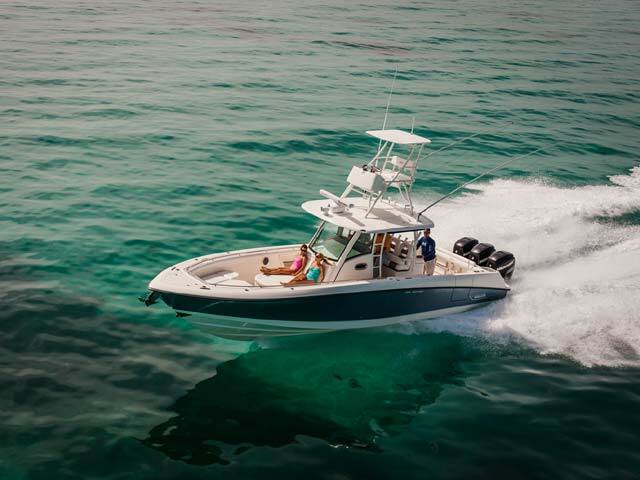 Remarkable capability marries beautifully with thoughtful amenities and cutting-edge technology in the Boston Whaler 350 Outrage. 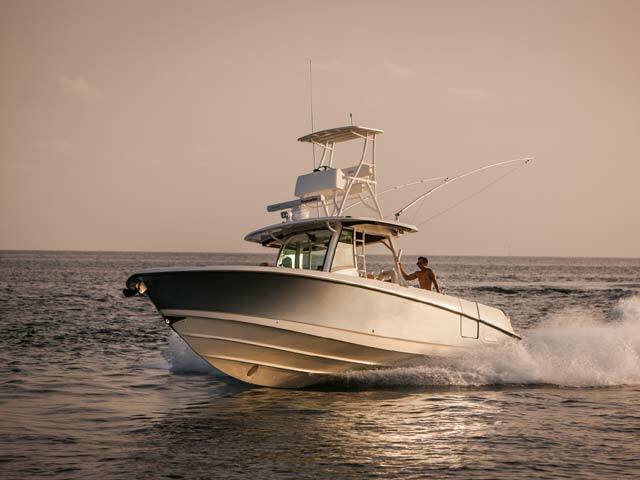 In the spacious cockpit, anglers will appreciate luxury fishing boat features including a deluxe leaning post/bait-prep center with 40-gallon livewell, tackle and tool storage, and freshwater sink with faucet. 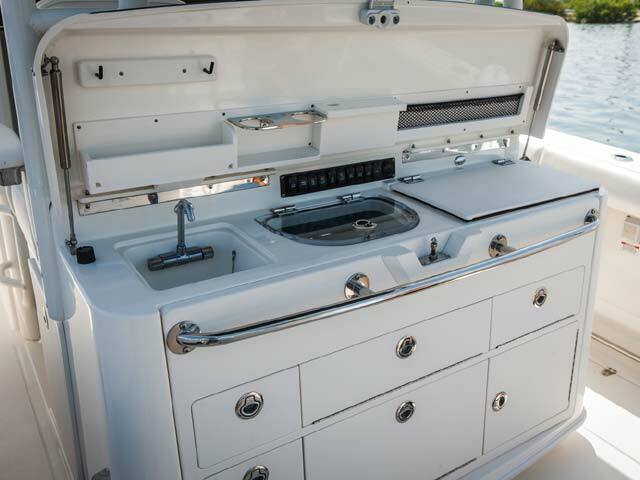 For entertaining, the optional Summer Kitchen makes hosting a breeze, thanks to an optional grill and fridge, sink and storage. 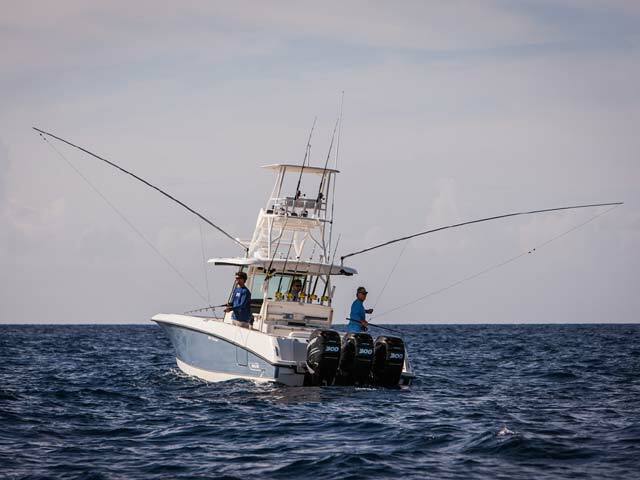 Meanwhile, an optional upper station serves up spectacular views and phenomenal fishing functionality. 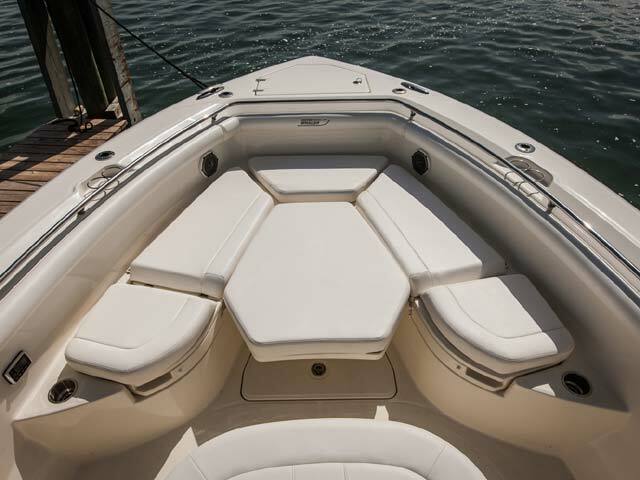 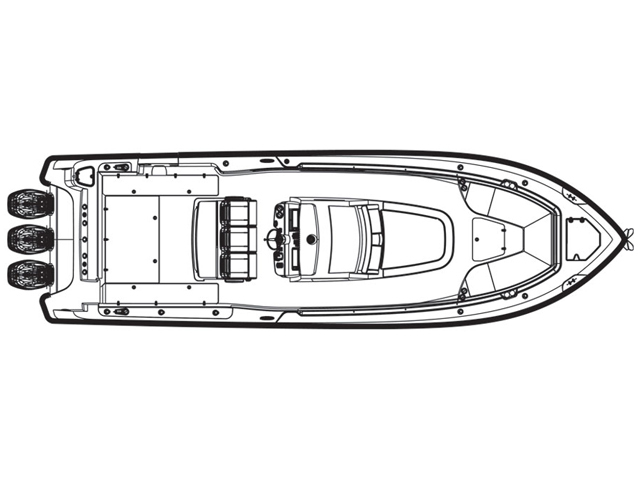 From bow to stern, ample seating and storage ensure a comfortable ride and a smart, secure place for all your gear. 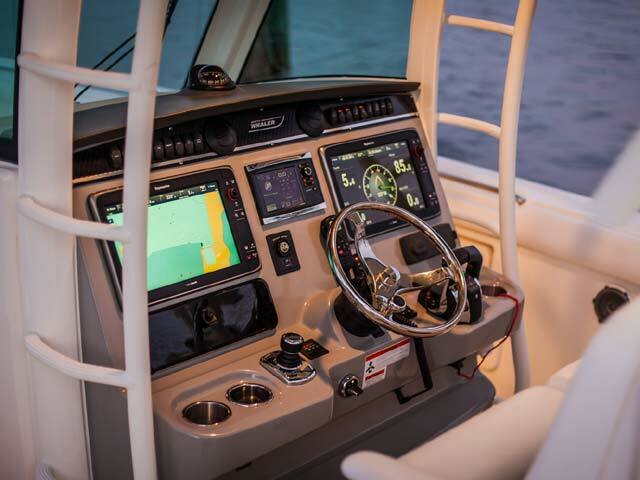 Other premium features include a Sirius-ready Fusion stereo system, triple Mercury Verado FourStroke engines with available Joystick Piloting for effortless docking, and a choice of nine beautiful hull colors. 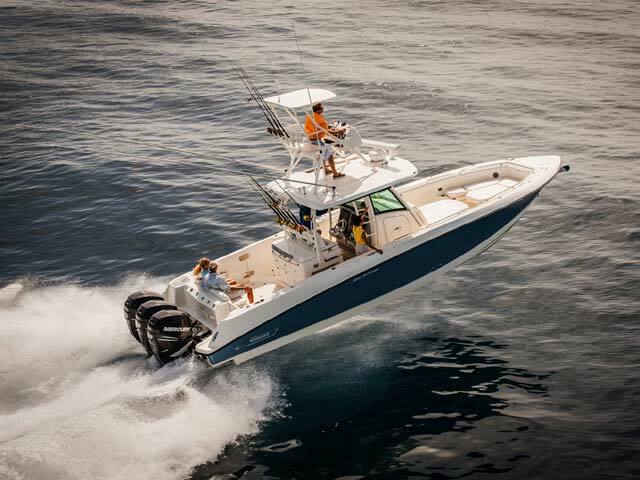 On the 350 Outrage, every element combines to produce an exceptional experience.